Fine crafted wood metronome, available in Walnut, Mahogany, or Black finishes. The Walnut ( photo above #803m) metronome is a golden brown, Mahogany (Right photo #801m) is a red brown (and is darker than the Walnut metronome), and the Black (Lower Left photo #806m) is matt black. Easy to remove wood cover. Range: 40 to 208 beats per minute. Dimensions: 8 1/2"h x 4 1/2 w x 4 1/2d. High accuracy. Made in Germany. A small slide switching device on the side of the metronome lets you choose an accented beat of 0,2,3,4, and 6, sounding a bell that will ring on the first beat of each measure. Set the metronome accent switch to 0 (zero) to turn the bell off. The bell is loud and you will never miss that first beat again. This model is available in the standard finish, or the high gloss finish. - Standard Matt Finish Wood Bell Model available in Mahogany (model # 811m), Walnut (model # 813m), and Black (model # 816m). or in High polish models - Mahogany (model # 811), Walnut (model # 813), and Black (model # 816). Size: 1 1/8 x 1 7/8 x 4 1/8". Includes a clear plastic cover that snaps on to the plastic model.. The wood model has a hinged wooden cover. Fits comfortably in pocket or handbag. The winding key can be removed and placed into the face of the metronome for transportation. Range: 40 to 208 beats per minute, set by sliding the metal weight up and down the stem of the metronome. Made in Germany. Small pocket size metronomes in a beautiful & durable plastic case with a snap on cover. Size: 6h x 2 3/4w x 1 5/8"d. The key can be removed and placed into the face of the metronome for transportation. Extra keys and weights are available ... see link below. Precision performance equal to a full size metronome. Range 40 to 208 beats per minute. Tempo is adjusted by sliding the weight up and down the stem of the metronome. Colors Available: Dark Brown, Black, Ruby, Blue, and Ivory. One year warranty. Made in Germany. 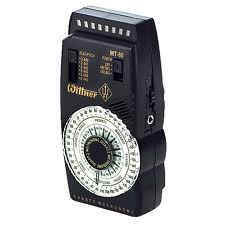 The Wittner Taktell Piccolo metronome is a very dependable keywound metronome at a low price. The sound is a very audible click. The metronome could fit in a small bag or pocket book. Average winding of metronome will give about 30 - 40 minutes of use. Extra metronome keys and metronome weights are available. Although this is a cheaper or inexpensive metronome, it has the same winding mechanism and great construction as all other Wittner Metronomes. and easy to turn dial. Light and or click - this metronome is one of the loudest for the money ... with a great clave (wood block) tone. 8 color LED's move with beat - when in the accenting mode the first light will flash green -- all others are red. Chime - bell accents downbeat on 0,2,3,4,5 & 6. When set to 0 there is only the clicking - clave tone. Over 3 octaves of pitches with pitch shift 440-445. Adjustable volume control. This is a feature that is very important for practice as you can keep the volume behind your practice till you catch up to the selected tempo. Flip out metal stand. Earphone included. Uses 9 volt battery - not included. 2 1/2"w x 5"h x 1 1/2"d. One year warranty. The Wittner Mt60 metronome very loud click that simulates a wood block sound. The 8 color LED's swing like a pendulum and is one of the best ways to see the beat. When the metronome is set to accent, the first light flashes green and the rest flash in red. The numbers on the dial are easy to see and this metronome is very easy to use.